The Electrolux Model No. 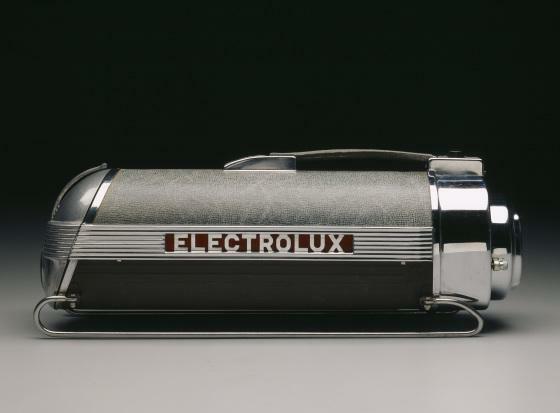 30 vacuum cleaner, designed by industrial designer Lurelle Guild and produced by the Electrolux Corporation in 1937, resembles a cross between a rocket and a sled with the front portion taking on a train-like form. The overall streamlined appearance evokes the feeling that it is about to launch itself around the house. At the time, the Model 30’s canisters and runners challenged the traditional wheeled, bag-type, upright vacuum cleaner commonly found in American households. Due to this vacuum’s use of a hose and the separation of the motor and suction unit, the versatile Model No. 30 lent itself to different cleaning needs and was light enough that the consumer could also use it as an upright by removing its hose and inserting the wand directly into the cylinder. With its futuristic appearance and use of modern materials, including cast aluminum, shiny chromium plating, and enameled steel, the stylish vacuum conjured up a sense of glamour not often associated with everyday domestic chores. Nearly a million households purchased the Electrolux Model No. 30 within the year following its introduction in 1937. 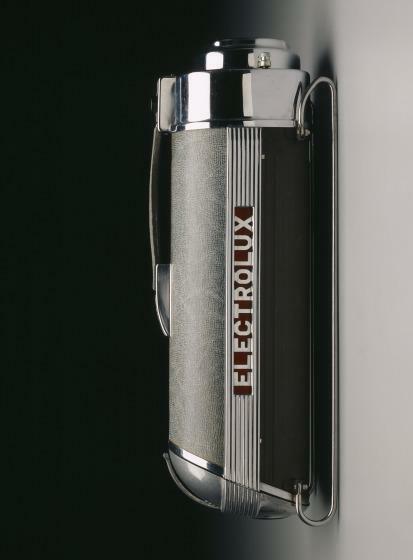 In 1942, the Electrolux Corporation halted the manufacturing of Guild’s design to focus on the war effort. Production of the popular design resumed following the war up until 1954. David A. Hanks and Anne Hoy, American Streamlined Design: The World of Tomorrow (Paris: Flammarion), 2005. John Stuart Gordon, A Modern World: American Design from the Yale University Art Gallery 1920-1950 (New Haven, CT: Yale University Art Gallery), 2011. Charles Venable, DMA unpublished material.